Facebook is world's largest as well as number one social network. After registering to use the site, users can create a user profile, add other users as "friends", exchange messages, post status updates and photos, share videos, use various apps and receive notifications when others update their profiles. 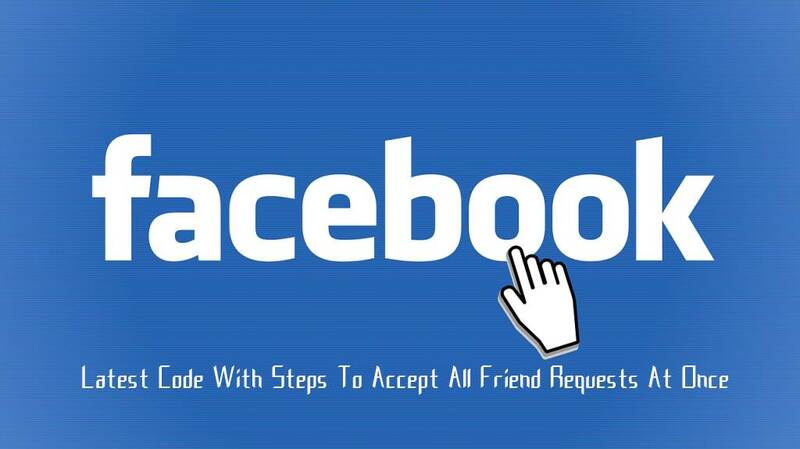 The problem we face on Facebook to accept friend request one by one which consume a lot of precious time if we get request in bulk. Everyday we receive many friend requests. It is a very boring task to click on confirm buttons again and again, so in order to make this process more interesting we are here sharing a code with you to accept all your friend requests at once. Now visit https://www.facebook.com/friends/requests and make list full open to see all friend request. Now just press Ctrl + Shift + J to open Console menu in chrome and then simply paste the below script and press enter. That's it you have now accepted all your friend request at once. I hope that this trick worked successfully for you to accept all friend requests on Facebook at once. If you face any issue or want to suggest regarding this topic then you may leave your precious comment. Very good idea. Thank you for sharing the information.